NWRP new video showcases the value of our hydropower system. The Port of Lewiston has a positive impact on the local economy. on the West Coast. The Port offers affordable freight transportation options and top-notch facilities for storing and moving cargo. 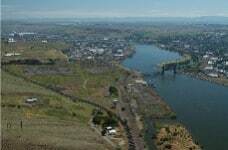 The Port of Lewiston is the most inland seaport on the West Coast, located 465 river miles from the ocean. 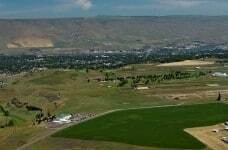 The Port is multidimensional and critical to the economic vitality of Nez Perce County and beyond. We provide a broad scope of services, all aimed at stimulating job growth and trade while protecting our quality of life. We focus on developing industrial and business parks, business incubator facilities, telecommunications and infrastructure. The Port of Lewiston is a transportation hub, directly adjacent to river, road and rail with warehousing options in the Northport area. By barge, we are currently shipping oversized and specialty cargo. The Port of Lewiston is strategically located to expand U.S. import and export opportunities in containerized and break bulk cargo, linking our corner of the Northwest to global trade markets. Property tax dollars are used to purchase and develop land, infrastructure and facilities. 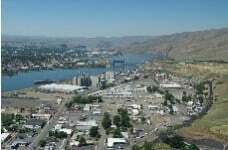 The Port of Lewiston plays an important role in the expansion, retention and attraction of businesses, thereby growing jobs and the local tax base. Located adjacent to the Northport property, with immediate access to river, road and rail transportation options, this park is ideal for heavy industrial operations. Northport is the Port of Lewiston’s waterfront property, adjacent to river, road and rail transportation options, and home of the Port’s district office and container yard. 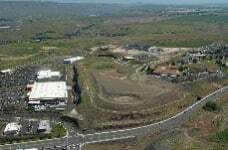 Located in the heart of Lewiston, this park consists of 16 acres within a mature PUD. This park is ideal for light industrial operations in a campus setting. The Southport Industrial Park was originally developed by the Port, is now 100% privately owned and is home to approximately 680 jobs. Learn more about the Port through a visual journey of photos, videos, maps, shipping reports and e-news. There are no vessels scheduled at this time. Conveniently connect to local and regional stakeholders investing in our economy and quality of life. Shipping Resources are also easily accessible here.